We’d love your help. Let us know what’s wrong with this preview of Written in History by Simon Sebag Montefiore. To ask other readers questions about Written in History, please sign up. Letters may be a dying art now but this book captures the power of the written word through some amazing letters from across history. This book has letters from Gandhi, Hitler, Mozart, Churchill and many more. This book is an eclectic collection of letters that reveal just as much about the people who wrote them as they do about world history. 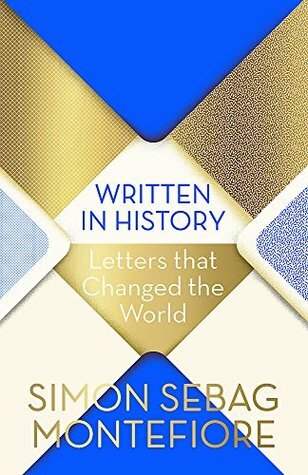 Written in History: Letters That Changed the World includes letters about love, war, disasters, family, goodbyes, creative endeavours and everything in between. 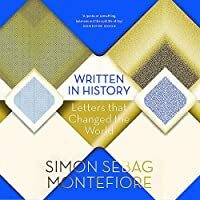 Simon Sebag Montefiore includes letters from ancient times to the 20th century from the likes of Pliny the Younger writing about the destruction of Pompeii, to letters from Stalin, Rasputin, Elizabeth I, Henry VIII, Machiavelli, Hitler, Frida Kahlo, Ada Lovelace and Ramses the Great. Montefiore includes a section on context at the beginning of each letter so that they are more easily understood. There were some really interesting letters, but at the same time there were quite a few that I found a bit boring to get through. Furthermore, Montefiore often only picks out a small part of the letter to include, when I would enjoy a more thorough reading of the letter. And whilst I understand that Russian history is his particular focus area, this book seemed a bit unbalanced as it was so heavily focused on Russian history compared to other countries and individuals. This is a magnificent book. The letters come from every part of history, and all are strong and many extraordinary. The book makes a perfect gift, and I've already given t to two friends. A short and magnificent anthology of correspondence that either described, explained, or changed the state of the authors' world. Well-known politicians, artists, militarists, as well as unknown victims of history draw the portrait of their time with the most defining and ageless colours, with the characteristic honesty and directness one would expect in private communication. My personal favourite is the farewell letter by a woman to her husband, written while she was waiting for her execution a A short and magnificent anthology of correspondence that either described, explained, or changed the state of the authors' world. Well-known politicians, artists, militarists, as well as unknown victims of history draw the portrait of their time with the most defining and ageless colours, with the characteristic honesty and directness one would expect in private communication. My personal favourite is the farewell letter by a woman to her husband, written while she was waiting for her execution along with her child in a Nazi detention camp. The visualisation of a single story that played out for millions can be a powerful tool to empathetically study history. Title misleading. The letters, though written by men and women who left a mark on the course of history, hadn’t always played that role. However that doesn’t make them less interesting or appealing, some were even very shocking and brought a new insight on some very known figures. The way the letters were organized in distinct themes could have been better as some letters belonged to different themes and some writers were mentioned many times. All considered this was a fun read. Brillant idea : letters written by famous people introduced by a gifted historian. I thought the introductory texts were very good, both informative and sharp. Many of the letters make you smile and move you. I also felt privileges to get intimate with some of the big names of history. I really enjoyed this book. The letters were chosen carefully and gives a great insight into the minds of the writers. The only thing that prevented this being a five star review was the volume of letters of Russian origin, as this is a part of history I’m less interested in. An eclectic collection of letters arranged by theme rather than by date. Sheds light on the personal/private side of public figures as diverse as Alexander Hamilton, Frida Kahlo and Pliny the Younger. Really interesting selection of letters from people throughout history, some very famous, some less so. My favourite is the one Tito wrote to Stalin, telling him to stop trying to assassinate him "or I'll send an assassin to Moscow - and I won't need to send a second."